I've been eyeing this one patch of white flowers (aka weeds) in the ditch on my way to work every morning for a few weeks. Today was the morning I happened to remember them before I went passed them. If you know anything about me, you know I keep my camera within arms reach while driving. So today I stopped, grabbed the cell and the Canon, and commenced to taking pictures. This is the just cell phone shot! I've been going thru some different "things" in my life lately. Nothing major. Just sometimes you feel like you are stuck in the ditch or in the bottom of the valley. For some reason I kept feeling an urgency to get it posted quickly. 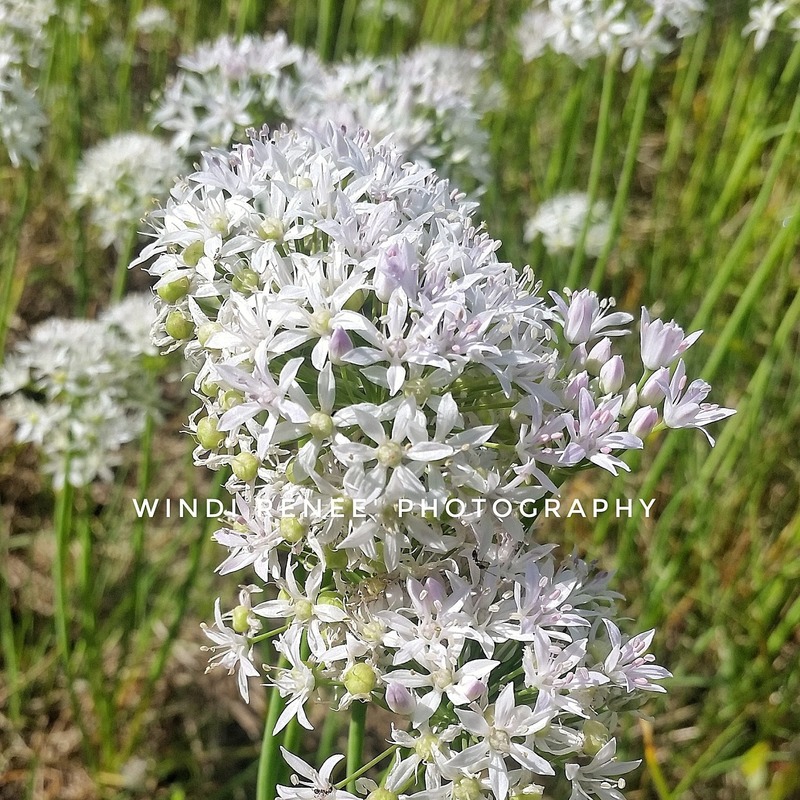 As I was sitting at the red light looking at this picture and adding my watermark, I heard that still small voice say "THERE IS STILL BEAUTY IN THE DITCH". That was my reason why! Life isn't always going to be perfect. There are ups and downs along the road we call life. Decisions to make. Lots of forks in the road. Chances to take. But even though you feel like you are wading chest deep thru the ditch.... Crawling thru the valley on your belly.... There is still life in the lowest places. There is still beauty even in our trying times. You just have to be still and look for the good in the circumstances. Life is a beautiful thing! Daniel 2:21 says "He (God) changes times and seasons." And just as I was reminded this morning, there will be others to stop and help you on the journey. As I had a couple of neighbors stop and check on me to make sure I was okay and not stranded on the side of the road. While I was playing in the ditch, help came along the way. He is our ever present help in times of trouble. All we have to do is ask!